Last year was the first year we really got into April Fools Day with the minis (read about it here). In the past we never really did pranks, but our kids can take a joke or two, so I decided to give it a try with chocolate covered cotton balls. Let's just say we all had a memorable day that year pulling pranks on one another! The thing that made it so easy is that it fell on a Sunday (Easter Sunday to be exact). This year April 1st fell on a Monday. 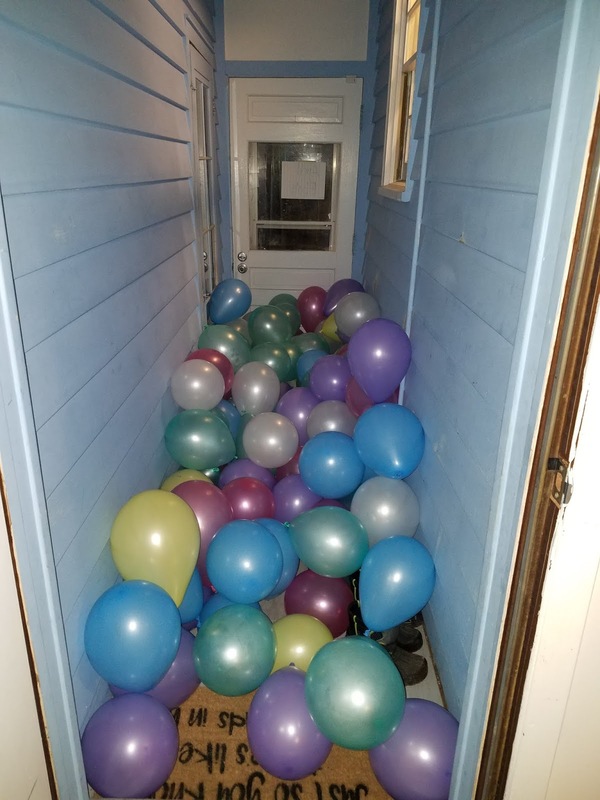 I was limited in what pranks I could pull because 1.) 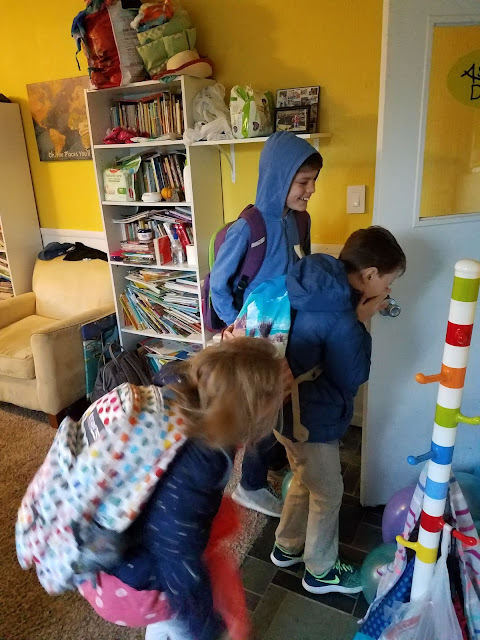 the minis are in school most of the day and 2.) 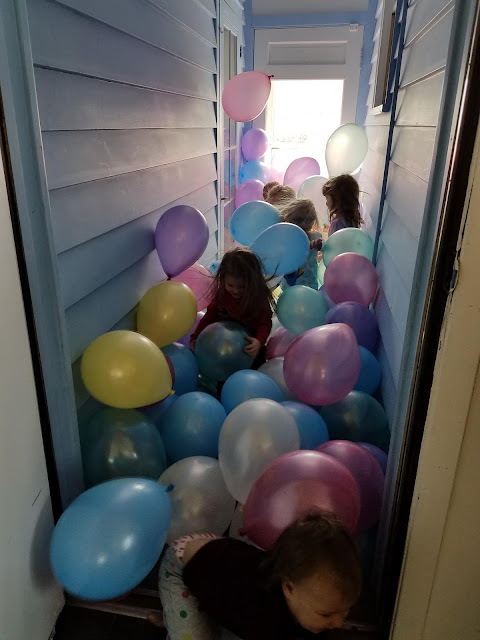 I had daycare kids. I didn't need to make one of them cry! 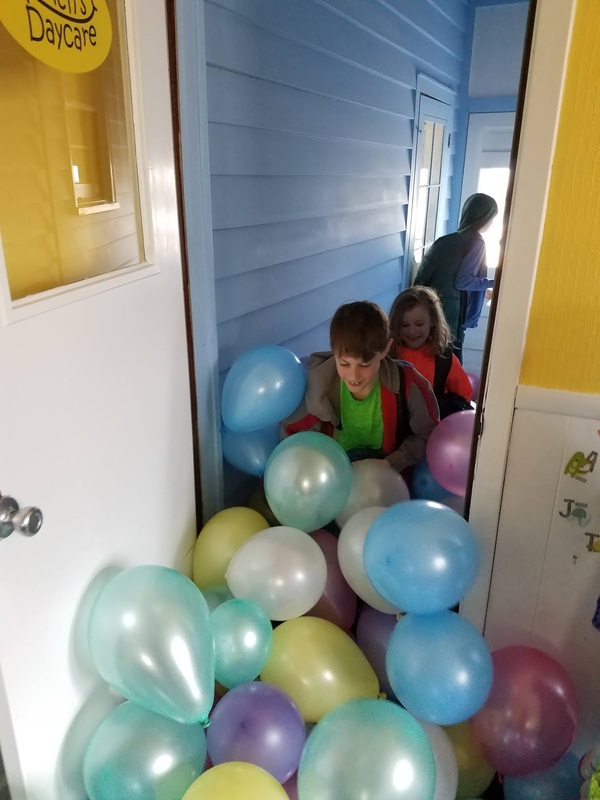 I waited until Sunday afternoon to decide on freezing their morning cereal, Easter Egg Surprise lunch (and dinner for my kids), and a breezeway filled with balloons. This might go down as our most memorable April Fools Day! 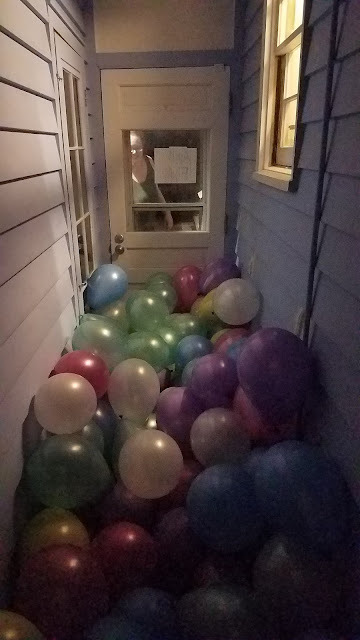 Starting with the night before, when Hubs and I were up until midnight, getting lightheaded from blowing up 300 balloons because our balloon pumps stopped working. Then I had to text parents and warn them about getting into daycare--the front door was opened and waiting to be used. 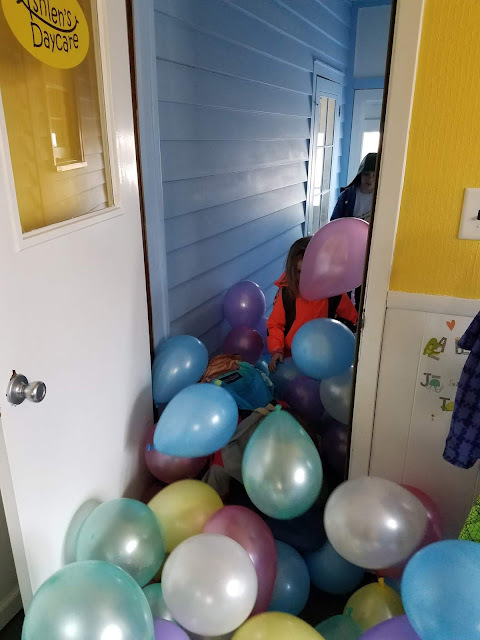 I'll admit, I was giddy the night before and the morning of because I could hardly wait to see the kid's reactions to things. 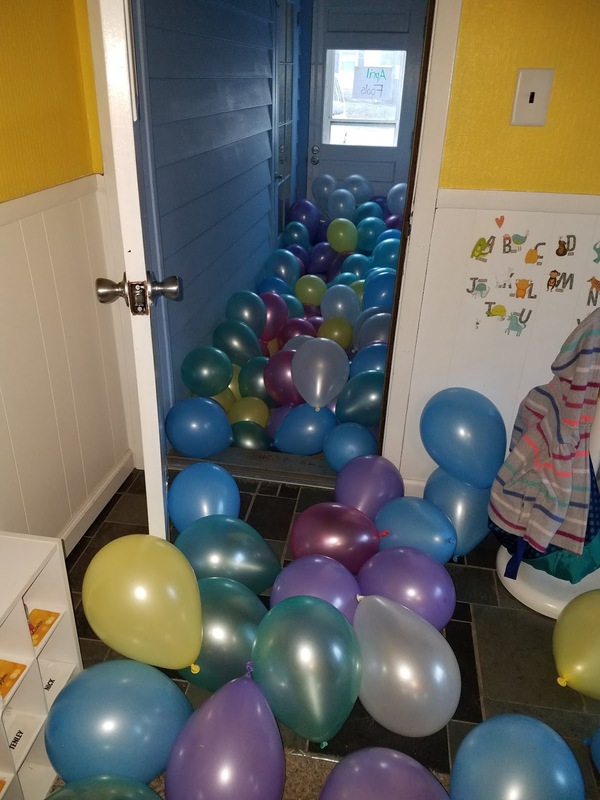 I took the time to blow up all those balloons, you can bet I'll be the first to enjoy it! 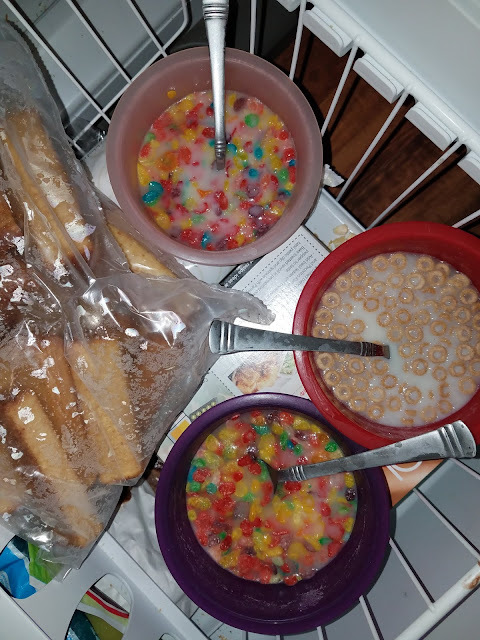 Cereal in the freezer the night before because everyone knows (or should know) I am not a morning person! Now getting these out of the freezer without the minis seeing was a bit challenging, but I managed. When Max sat down for breakfast, he laughed and asked for his real breakfast (I had cereal ready to go for them to eat), Elizabeth cried. Hard. 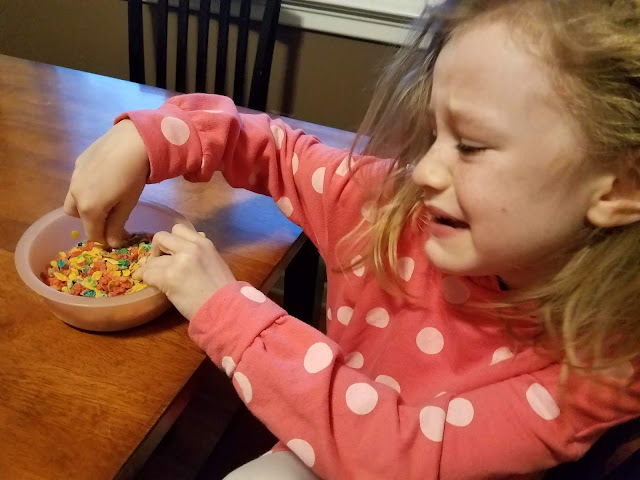 "What's happening to my cereal?!? Mom! Why??!!?" 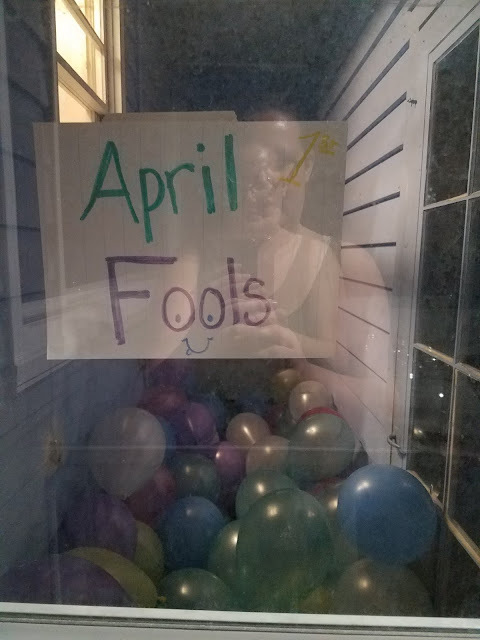 She's not a fan of April Fools Day. Harrison was late to the party, as he was doing his hair. 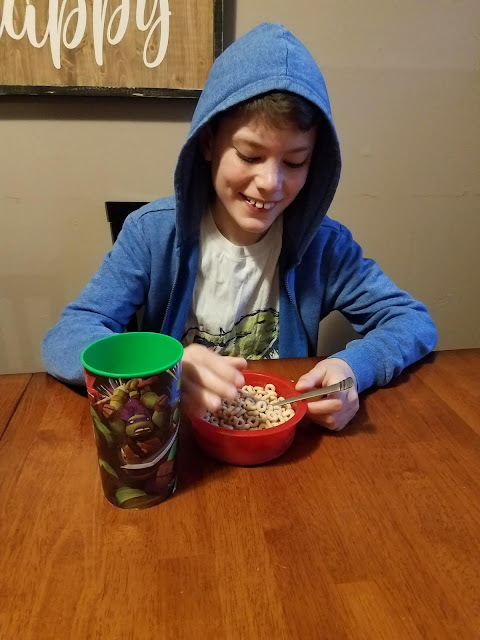 He got a good laugh out of the joke....but mostly because his sister was beyond ridiculous with her's. Their next Fools was the balloons in the breezeway when they went out the door to walk to school. There were a few laughs and "oh my goodness!" 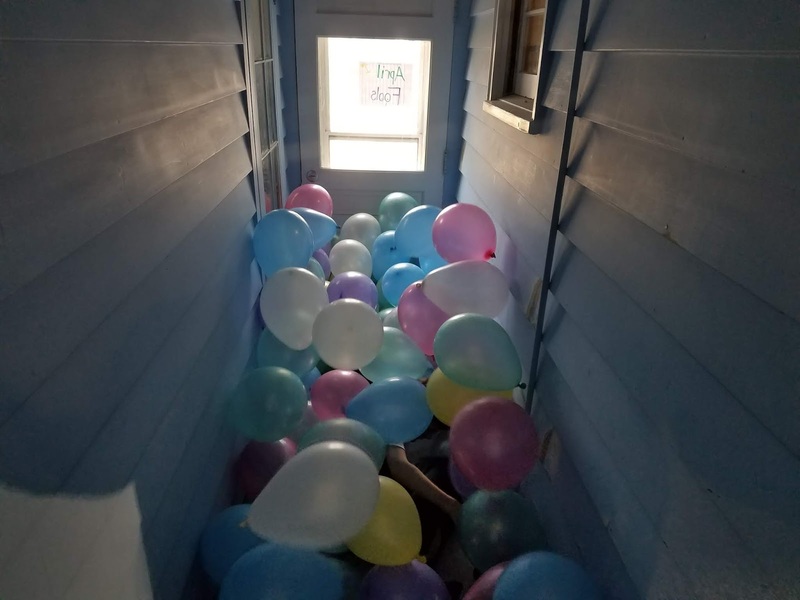 heard, but they then turned around and walked out the unobstructed front door because they weren't pleased with the balloons in their way. 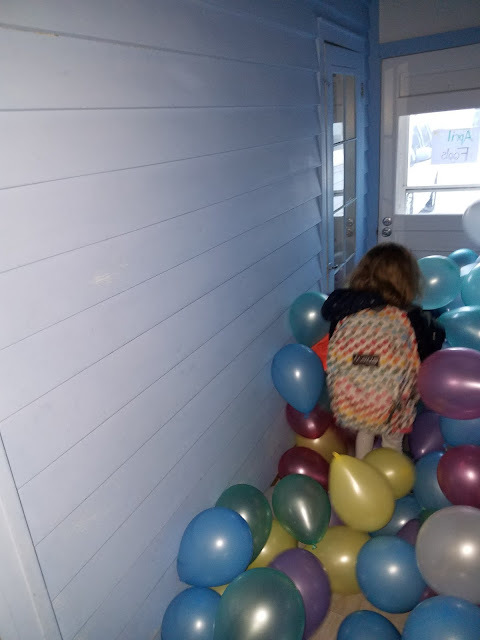 They did change their mind after school when they were able to jump and play in the balloons! 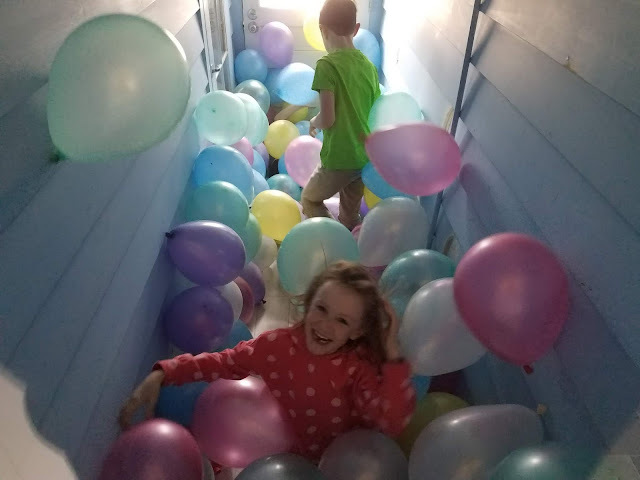 Daycare kids were just as shocked about the balloons in their way (most requested to walk thru the front door), but they had a blast playing in them! I think everyone will remember this April Fools Day! The Easter Egg Surprise lunch was a hit! In the past we've done Easter Egg Snacks, but I figured Monday is usually deli sandwich day and deli meat can easily be folded into eggs so why not do lunch in eggs?? The kids LOVED it and have requested we do lunch this way again. 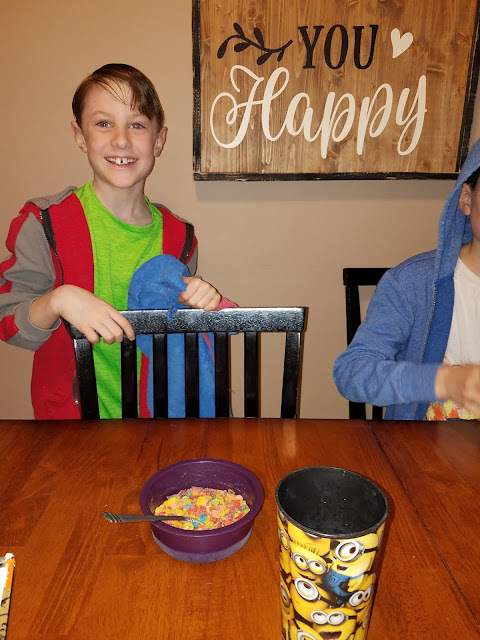 My kids (all in school) felt they were missing out, so we skipped Mexican quinoa night and instead ate our dinner out of eggs (they did, I had leftovers from the weekend). 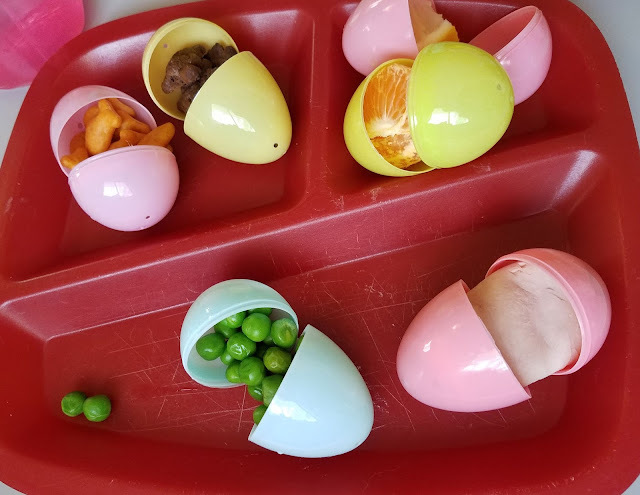 All of the kids (daycare and mine) ate really well because they just couldn't believe what was in the eggs. 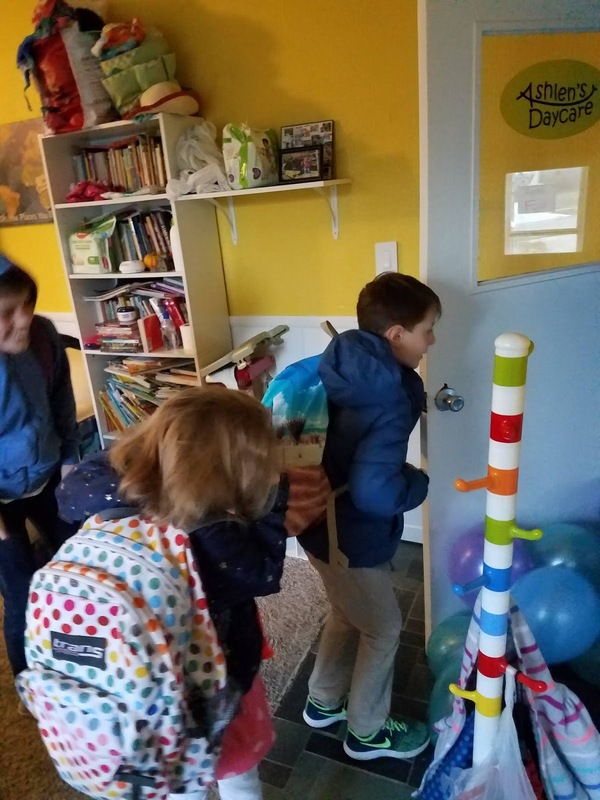 The egg filled with lemon slices made all of the kids pause, but they caught on quick and told me, "it's because it's for April Fools, right Ash?" There's several kids under all those balloons! With as good as the minis got us back last year, I was expecting something from them all afternoon. I figured the balloons distracted them enough so I thought I was in the clear. I had a meeting and conference call that ran late. When I got home my first stop was the bathroom. I screamed when I unrolled the toilet paper....they taped our fake bugs on the toilet paper so they fell out when I rolled it. Hubs was pretty pleased with that one. 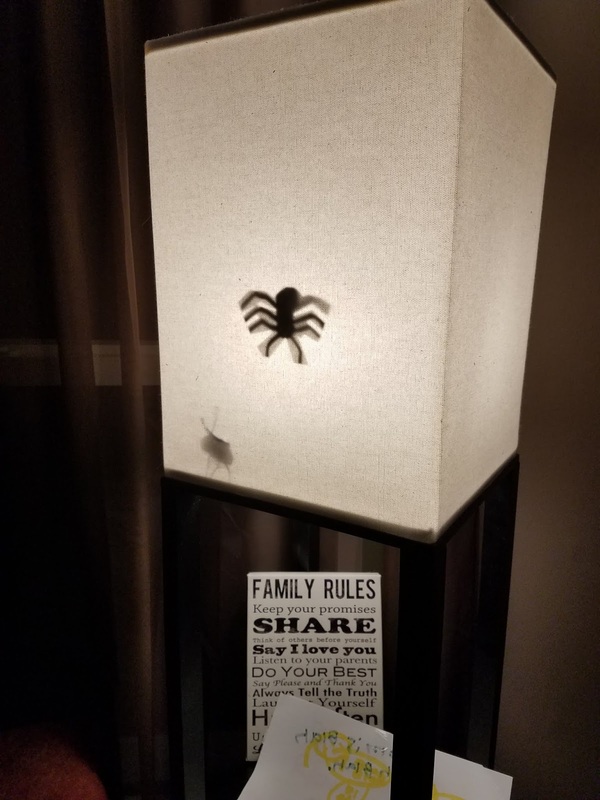 My next surprise was when I turned on the lamp and was greeted by "bugs" in the light. I totally screamed at that one too. I guess they did get me back really good! Now I've got a full year to plan for next year. What are some pranks you've pulled on your kids or family? 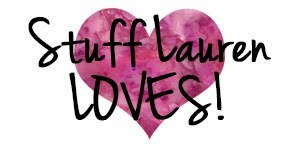 I'd love to get some easy ideas!